A couple weeks back I was having my good friend Sarah over for dinner on a work night. Work nights are already crazy so I needed something snazzy but yet quick and easy so I wouldn’t be spending our whole night together in the kitchen. Well one thing that cracks me up about Sarah is that she eats whole bell peppers like an apple. This girl loves her bell peppers! So I knew I wanted a dish that had a nice red pepper flavor. This one was it! 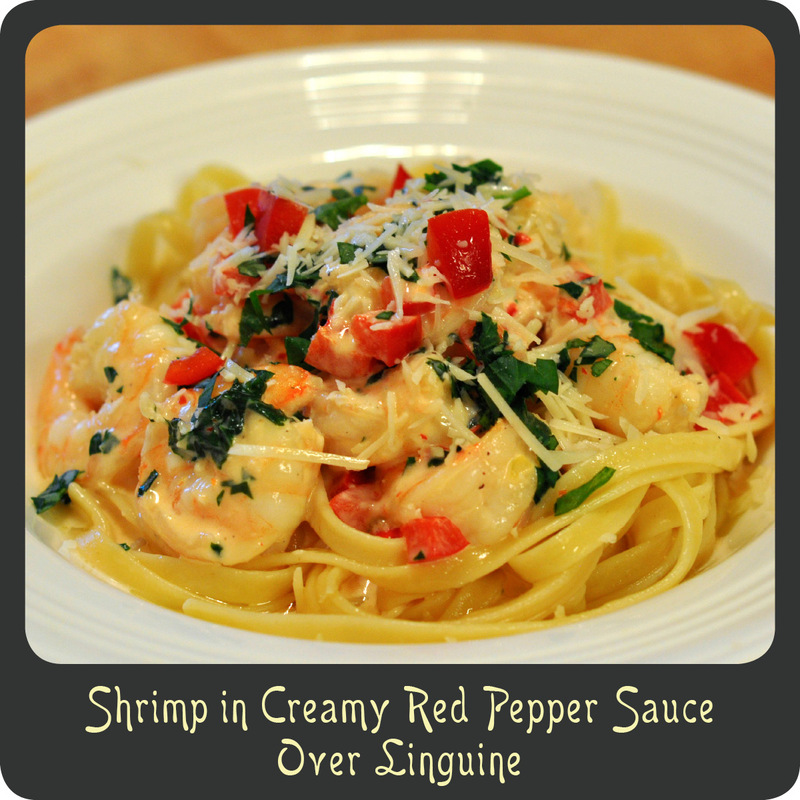 The pepper flavor is very mild and goes great with the rich creamy wine sauce and of course shrimp cook super quick. We had a winner! This recipe was a huge hit. I served this pasta dish with a green salad and a fresh baguette for a quick and impressive dinner you’d think came out of a restaurant. Add the garlic and heat through for about 1 minute making sure not to burn it. Add the shrimp and season with salt and pepper. Sauté the shrimp and cook most of the way through, about 3–5 minutes. Transfer the cooked shrimp to a bowl and cover with foil. Pour the wine to the skillet and cook until it reduces by half. Add the bell pepper, chili paste, and cream. Simmer for 5–6 minutes or until the cream begins to thicken. Add the shrimp back into the skillet and simmer in the sauce for another 3 minutes. Stir in the majority of the basil leaving some for garnish. Serve the shrimp and a spoonful of the sauce over cooked linguine and garnish with some of the leftover chopped basil.